Please arrive to the classroom at least 15 minutes before your speaking time – refer to the Hotel Floor Map below. Click Here to View the Floor Map. Please bring your personal laptop equipped with your presentation to the classroom as laptops will not be provided. Presenters will have access to a Speaker Ready Room in Meeting Room 22 to upload their PowerPoint presentation prior to their speaking time and to check for compatibility. This year all photos will be available digitally. If you would like a physical copy of your photo please email info@chiropractic.org for more information. 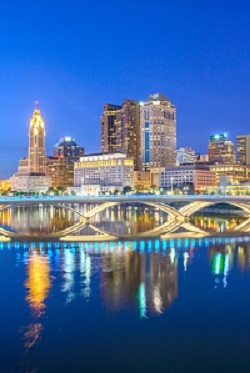 Columbus has an open-minded approach to life, business and ideas. The Buckeye State’s capital has cultivated a unique environment of thriving communities, companies, institutions and entertainment that has led to it being one of the fastest-growing cities in the U.S. Full of charm, historic neighborhoods, and some of the nation’s best suburbs for employees and families to live, Columbus is made unforgettable with its diversity and energetic blend of arts and culture. Situated in the middle of Ohio, the Columbus Region has a rich and varied climate. Exposed equally to air from Canada and the tropics, Columbus enjoys seasonal variability with cold winters and warm, humid summers. Winter averages reach 37.1°F during the day and fall to 21.4° at night. Columbus is in the Eastern Daylight Time (EDT) Zone. This means that Columbus is five hours ahead of Hawaii (Hawaii-Aleutian Daylight Time), three hours ahead of Los Angeles (Pacific Daylight Time), two hours ahead of Colorado (Mountain Daylight Time), and one hour ahead of Alabama (Central Daylight Time). Columbus offers an amazing food scene that features top-ranked chefs, a rich cultivated farm-to-table movement, one-of-a-kind restaurants and creative artisan desserts, beers, wines and spirits. At the heart of Columbus’ renowned culinary scene are locally owned and operated restaurants that feature the growing craft beer market. Explore the freshness and creativity that comes from Columbus’ delicious street food trucks. Street eats range from taco trucks and BBQ to Korean and sweet, savory crepes. Have a blast in Columbus wherever you go by visiting the world-class Columbus Zoo and Aquarium or the Franklin Park Conservatory and Botanical Gardens which brings horticulture and art together in a spectacular glasshouse. The Columbus Museum of Art recently added a new modern art wing, and new parks, like the Scioto Mile, connect the city to nature, and dozens of miles of multi-use trails span Columbus. 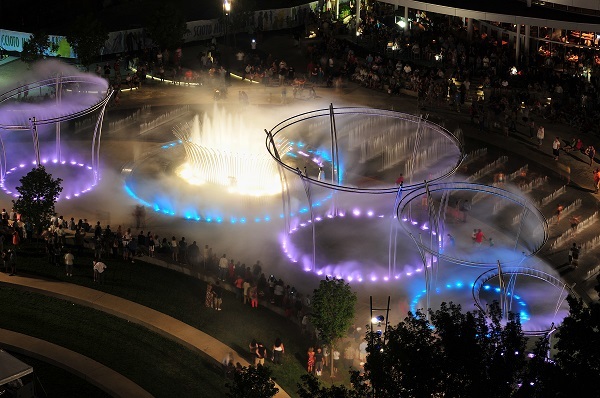 Take advantage of all that Columbus has to offer and explore its diverse culture and lively attractions. Detailed information on Columbus shopping, dining and other services are available from Experience Columbus at www.experiencecolumbus.com. Taxi Service from the John Glenn Airport to downtown Columbus averages $25.00. Airport Shuttle Services offer you transportation services to/from the airport and costs vary depending on number of passengers and distance. Reservations are recommended. For those of you driving a car, The Renaissance Columbus Downtown Hotel has on-site valet parking for a discounted rate of $14.00. Public Transportation is available from the Central Ohio Transit Authority (COTA). One-way fares cost as low as $2.00 and day passes are as low as $4.50. Visit www.cota.com for more information about public transportation. Friday, March 1, 2019 7 a.m. to 11:30 p.m.
Sunday, March 3, 2018 7 a.m. to 6 p.m.
Thursday, February 28, 2019 9 a.m. to 11:30 p.m.
Sunday, March 3, 2019 7 a.m. to 6 p.m.
Click Here to View Shuttle Route.